The first written treatise on medicine and surgery was found in the Edwin Smith papyrus found in Egypt and dated to approximately 1500 BC. The majority of the papyrus is dedicated to trauma and surgery. The first description of wound closure with suture could be considered the first attempts at Plastic Surgery. 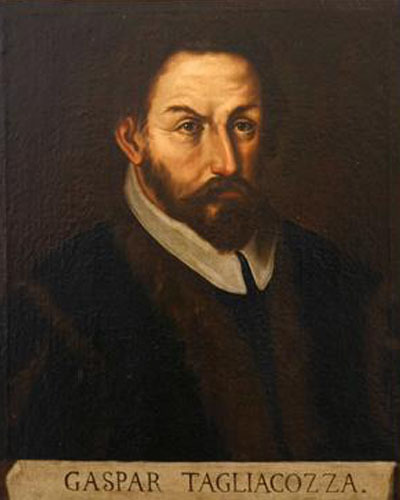 There are large gaps in the historical record until the 1500’s in Italy where a surgeon named Gasparo Tagliacozzi (1545-1599) is credited with a method of nasal reconstruction called the “Italian Method” which entailed attaching skin and subcutaneous tissue of the inner arm to the nose, ultimately detaching the tissue from the arm after obtaining a new blood supply from the nose. Interestingly the simple skin grafting procedure did not become commonplace until 400 years later in the 1800’s in Europe. Most of the Plastic Surgical break-throughs occurred during 1800’s in Germany and France including the first successful repair of cleft palates. Many wound care advances took place in the late 1700’s during the “Napoleonic Wars.” Napoleon’s surgeons were the best in Europe and made many advances in the care of open wounds and the sterilization of infected battlefield injuries. It was not until the late 1800’s and Joseph Lister of Glasgow that aseptic surgical techniques were utilized and the first latex gloves worn by the American surgeon William Halsted. The first documented case of surgical anesthesia was performed by a dentist William Morton, using ether as the anesthetic in 1846. At the time of the 20th Century, the knowledge was in place for surgeons to begin to attempt elective surgical procedures including elective or cosmetic rhinoplasty and facial rejuvenation. At this time in surgical history, surgeons were just medical doctors with learned experience in sutures, wound closure, dentistry, and anesthesia. The application of this knowledge did not include specialty training yet doctors at that time began to become known for their surgical techniques and results. As early as 1911, the first textbook describing facial rejuvenation techniques was published. Cosmetic surgery was catching on in the big cities but there were only a few surgeons who realized how lucrative cosmetic surgery could be. In certain ways the progress in cosmetic procedures was stalled by WWI but in other ways great strides were made in the knowledge of facial injuries and how to treat them. The best surgeons on both sides of the Atlantic were called to duty to treat the continuous onslaught of patients with facial injuries during the “trench warfare” that was WWI. In addition to the facial gunshot injuries, the aerial warfare left many pilots with burn injuries of their faces and hands. Huge leaps were made in facial reconstruction led by Sir Harold Gillies of New Zealand and England. Gillies advanced the work of Tagliocozzi inventing the tubed pedicle flap in 1917. He meticulously documented his surgical reconstructions all done in Sidcup, the primary hospital for facial injuries after battlefield triage. Gillies, with his British and American colleagues, provided for the first time both functional and cosmetic reconstruction for devastating facial injuries. Gillies published his results of the WWI surgeries in his classic textbook: Plastic Surgery of the Face, published in 1920. The precursor of the American Board of Plastic Surgery was organized in 1921 as the American Association of Oral Surgeons. The governing body for Plastic Surgeons was organized in the late 1930’s with the first board examination given in 1941. New York, Chicago, Philadelphia and St. Louis became the centers of Plastic Surgery training and now real Plastic Surgeons could be identified separately from their dental, general surgeon, and ENT colleagues. WWII put a temporary hold on cosmetic procedures while Plastic Surgeons participated in the care of the severe traumatic injuries and gained, once again, valuable knowledge in facial injury repair and the reconstruction of leg injuries. It was true for WWII as it was for WWI and preceding wars that injured soldiers provided the raw material for rapid advancements in Plastic Surgical knowledge. After WWII, Plastic Surgery training was centered in St. Louis with Drs. Blair, Brown, and Barrett. A few Americans chose to return to Britain and train under the famous Sir Harold Gillies who was at the end of his illustrious career. Among the Americans was D. Ralph Millard, Jr., MD. The puckish young Millard talked Gillies into writing a book encompassing his practice since 1920. Gillies published his lifetime Plastic Surgical experience in 1956 with Millard as co-author. To this day The Principles and Art of Plastic Surgery remains as a classic textbook. After accepting the baton, Millard practiced as one of the best, most creative, most dynamic Plastic Surgeons until his death at 92 yearsold. 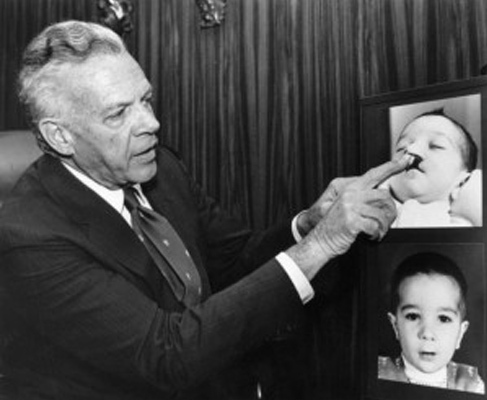 The beauty of Millard’s lifetime achievements was that he always touted the differences in training, mindset, and experience of real Plastic Surgeons as opposed to those that attempted Plastic Surgery without proper training. The second beauty of Millard’s practice was his uncommon writing skills, different from standard medical journal writing just as his work was creatively superior to others. He also, when attacking a surgical problem such as Cleft Lip and Palate, thought through the problem so completely and was written so well, that there was very little for other surgeons to add to the subject. Dr. Paul S. Howard is a Real Board Certified Plastic Surgeon in Birmingham, Alabama who trained in Plastic Surgery under world-famous Plastic Surgeon Dr. Ralph Millard.